This story includes the comments of ADF&G Area Management Biologist Tim Sands and BBEDC Chairman of the Board Robin Samuelsen Junior. 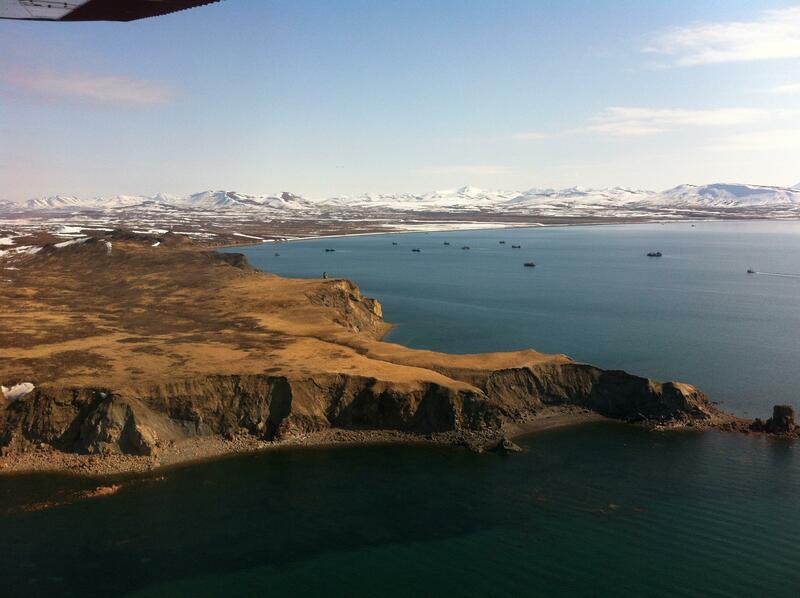 Vessels awaiting the start of last year's Togiak sac-roe herring fishery. The sockeye run to the Togiak District is forecasted to be up this year according to the Alaska Department of Fish and Game. KDLG’s Mike Mason took a look at the recently released outlook for commercial fishing and filed this report.